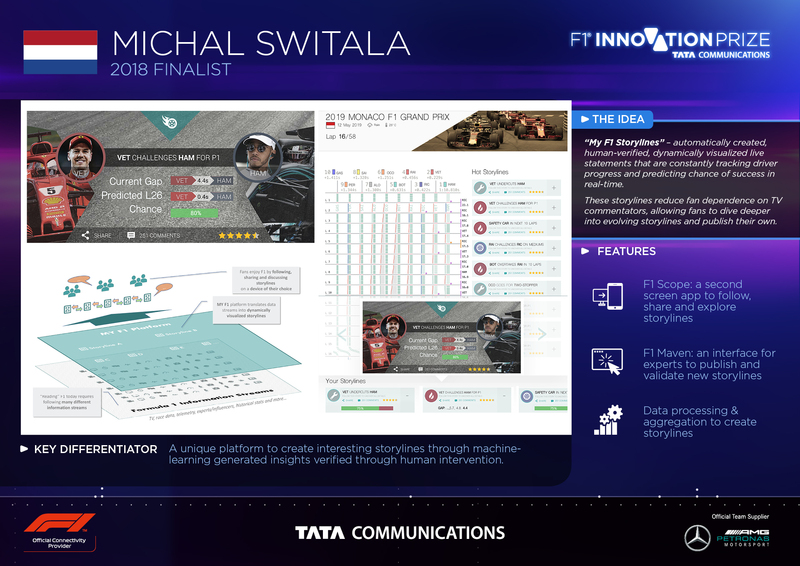 With the prospect of winning $50,000 and having his idea for the 2018 Tata Communications F1® Innovation Prize made into a reality, Michal Switala, from the Netherlands, submitted his entry and made it into the finals. We spoke to him to find out more about his submission. 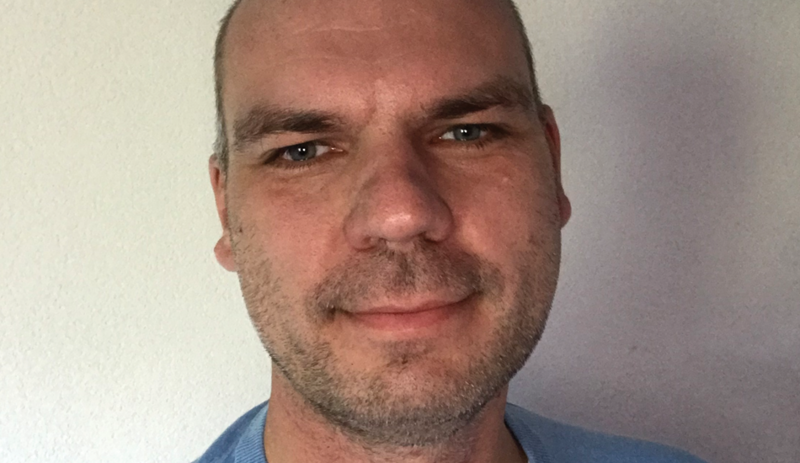 Michal’s idea for the future of F1® involves storylines that are “automatically created, human-verified, dynamically visualized live statements that are constantly tracking driver progress and predicting chance of success in real-time,” explains Michal. Inspiration for Michal’s submission came from lots of reading. He also admits to ‘smuggling’ his laptop onto a family vacation, just so he could work on it.